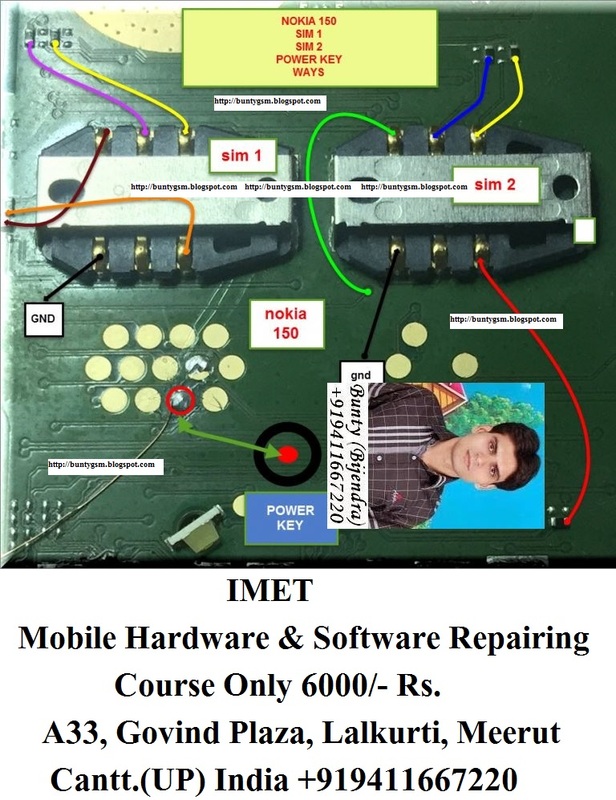 Here’s the full solution for Nokia 150 SIM card problem that it does not accept or detect any SIM card being inserted into it. This solution shows the full line paths or connection tracks of the Nokia SIM circuit, from the SIM pin connector through to the SIM filter IC and to the innermost part of the main chips solder ball bumps. It might be due to faulty capacitors. If any of them is faulty then it will affect your overall SIM card function. The issue might also be due to SIM card IC.